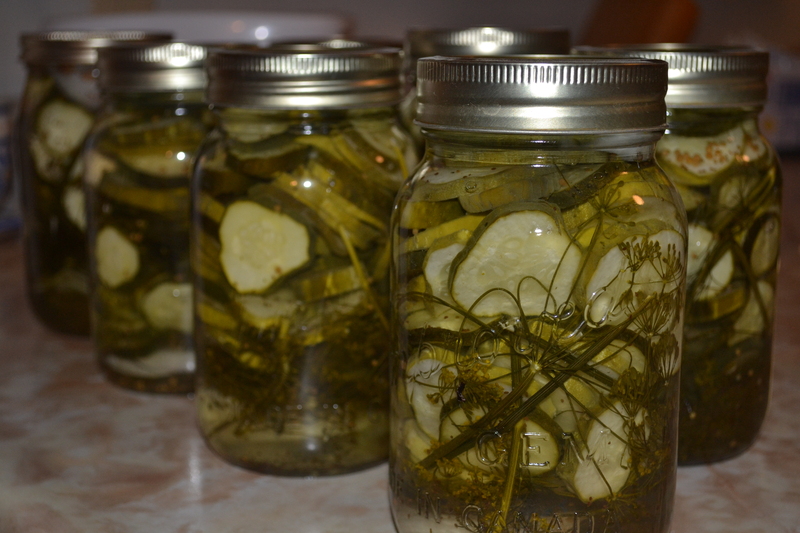 Over the past few weeks my mom has been busy teaching me the canning ropes. Check out these posts on making relish: https://ruralrouteramblings.wordpress.com/2011/08/08/relishing-homemade-relish/ and canning peaches: https://ruralrouteramblings.wordpress.com/2011/08/15/gettin-peachy-in-the-kitchen/ With all the canning, baking and cooking, I’m starting to feel like Molly Homemaker! 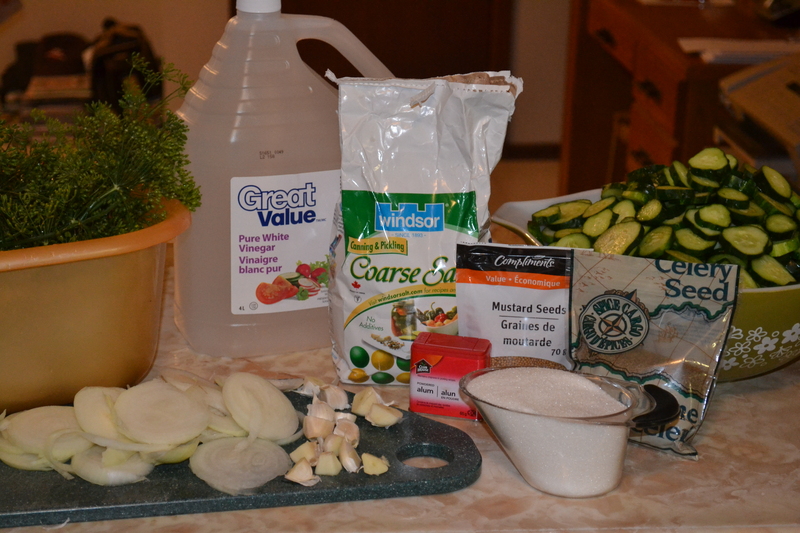 In honor of Canning Week 2011, I’m showing you how to make Café Pickles. My mom makes a batch of these every summer and they’re always a hit. So here’s the recipe followed by a series of photos displaying the process. 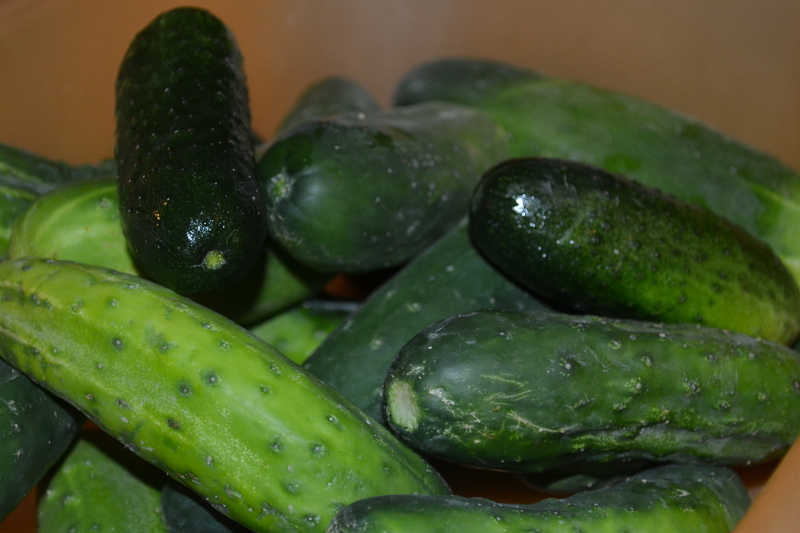 Wash cucumbers and slice thinly without peeling. Sterilize jars and lids. 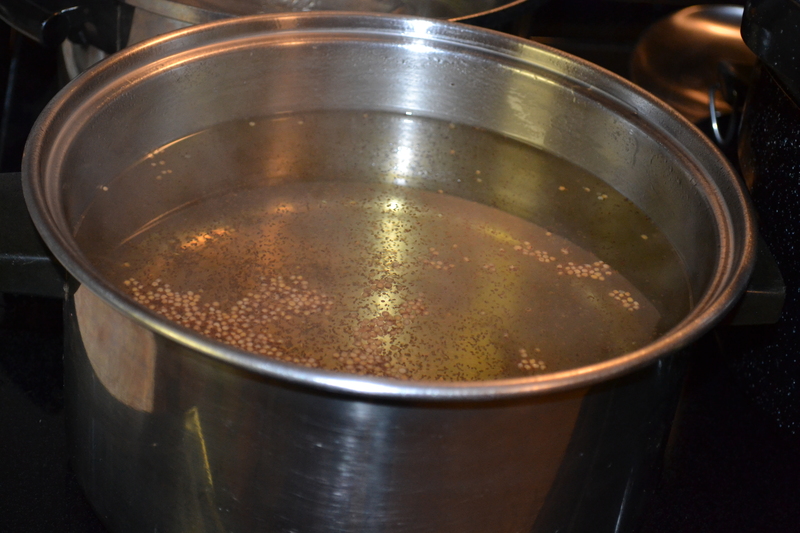 Boil the above syrup for 3 to 4 minutes. 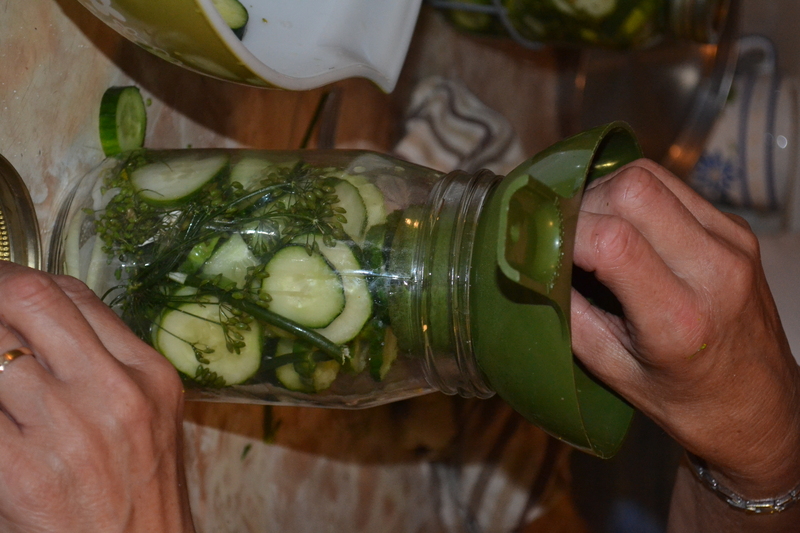 Put cucumbers, dill and 2 slices of onions into a jar and add the syrup. Steam until the cucumbers change color (approximately 5 minutes). We increased the above recipe and made 10 1-quart jars. 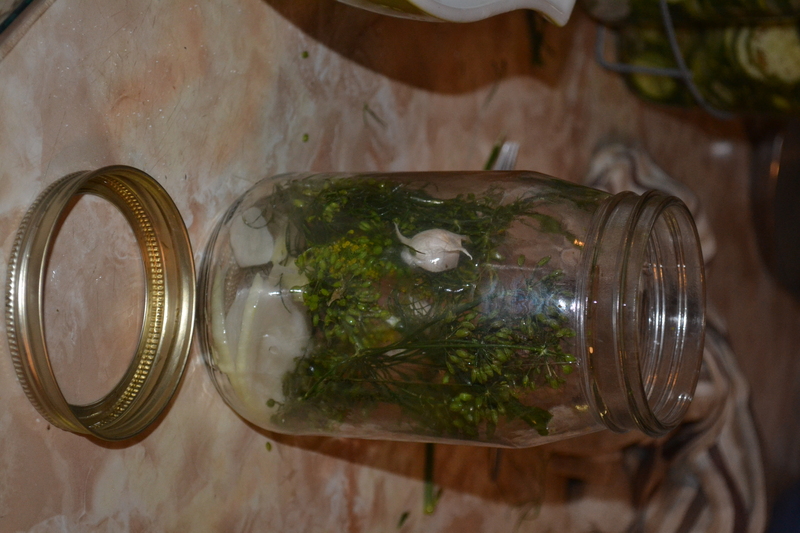 Put dill and garlic in the jar. 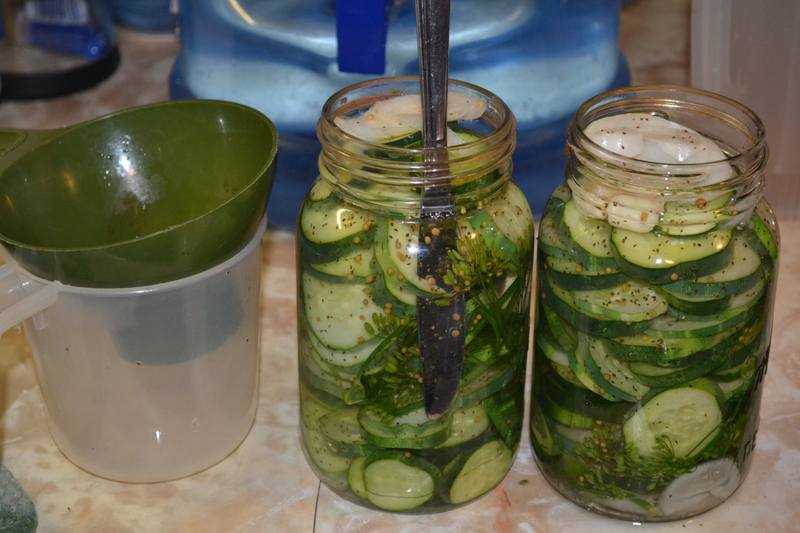 Fill the jar with sliced cucumbers and then fill with syrup. Remove air bubbles from the jar. 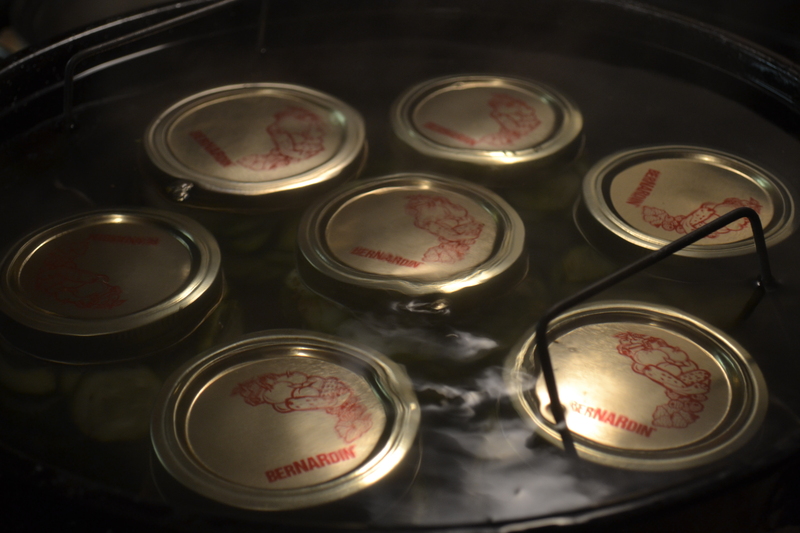 Put the jars in boiling water to seal them. The cucumbers will change color. This is Canning Week 2011. Check out my social media friend Ott, A’s blog, http://alattewithotta.blogspot.com/. She’s co-hosting a Canning Week Blog Party this week and featuring various canning recipes on her blog. And if you’ve done some canning, don’t forget to link up for a chance to win some great prizes. I’m intrigued that you used celery salt. I may have to buy some of this for my spice rack. Thanks a Latte’ for Partying with us this week!!!!! This is one of my mom’s famous canning recipes so I’ll let her know that you’re intrigued by the use of the celery salt. Thanks for letting me join the canning party! Good times in the kitchen!